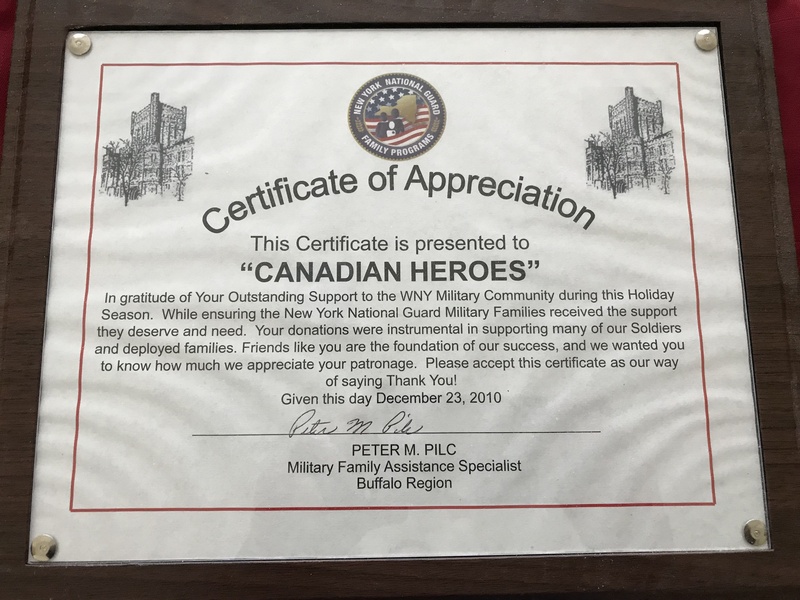 Nine years ago, we made a donation of over 200 hockey tickets to the New York National Guard for the World Juniors tournament that was taking place in Buffalo-Niagara. These tickets and 300 more plus a private suite were all donated to us, and soldiers, and their families from both countries had a great time at the event. This plaque was just found in a box in an envelope, so we will find a nice place that we can hang her up soon.